On this page, please post a comment for any possible errors in the publicly available database or any changes that you might think necessary. These might include: taxonomic (genus/species name) updates; specimen number changes; numbers in error; duplicate entries; etc. Note sure if it’s an error or an occultation by the paper but in one entry for USNM 4929 specimen (Stegosaurus) by Maidment et al 2008 is missing the species name, which is stenops. Three of the Heterodontosaurus are listed as Ornithopoda. We’ll want to change “Lexovisaurus” to “Loricatosaurus” for some specimens. Some of the Heterodontosaurus are listed as Ornithischia (2) or Ornithopoda (5) for their clade. Acanthopholis platypus is a mess; the metatarsals (what the measurements are actually from) are probably from a sauropod, some of the other bones (not limb bones, so not used in this project) are legitimately ankylosaurian. Thus, Dinosauria; it’s discussed in the comments on the “What’s Next” post. The Corythosaurus specimen USNM 358394 appears to be duplicated unnecessarily. All of the new combined entries are blank in the measurement fields, along with AMNH FR 970 from the 14 EB release. These can be found by looking for combined entries with a blank Entry 1 field (except for ROM 804 which does have measurements but no Entry 1). Hmm. . .I think the blanks you’re seeing are basically blank lines that I added in yesterday to indicate that the measurements need to be combined. Will check on the AMNH one. This is more of a question. We’re averaging the Manus and Pes measurements across the sides for the combined entries? Should this also be done for specimens that are not repeated? I suppose this could be done during the actual analysis, rather than before. Yeah, let’s leave them for now. . .good question, though. Sorry, this isn’t correct for the final genus and species. As a follow-up to my above comment, Gigantspinosaurus is also how it appears in the supplement to Maidment et al. 2008, from whence the database measurements came. I went ahead and corrected the spelling in the “combined data” worksheet. 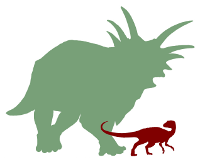 I’ve corrected a misspelling of the species name for Herrarasaurus specimen PVL 2566 on the combined data sheet – ischigualastrensis –> ischigualastensis. Thinking we should also correct (at a minimum) the SpeciesFinal column on the public data page. A similar issue with Homalocephale specimen GI SPS 100/1201. I changed H. calathoceros to H. calathocercos in the combined data sheet, but the misspelling remains on the public data page under SpeciesFinal. The Bactrosaurus specimens that are combined probably shouldn’t be – they’re all bonebed specimens, with multiple individuals under a single catalog number. The “circumference” for the femur in the Edmontosaurus annectens type in Parks 1935 looks to be incorrect. The Gilmoreosaurus specimens are incorrectly combined, too. Same for some of the Maiasaurus. We should probably pick a format for the BMNH numbers; some are in the format BMNH R12345, some as BMNH R. 12345, and some as BMNH R.12345. Thecodontosaurus caducus is now, sadly, in the genus Pantydraco. I went through and updated the public spreadsheet with everyone’s suggestions/comments/corrections. . .I think everything should be caught up now (as of the writing of this comment). Please let me know if I missed anything! All BMNH number should now be NHM numbers. I have never seen anyone from the museum use the format R. 2095 or R.2095 — only R2095 or R 2095. There seems to be little consistency between the formats, but for what it’s worth I’ve uniformly used R2095 in my own work. Just updated that accordingly on the public spreadsheet – these will get sifted out on the in-progress combined spreadsheet as we move forward. Rob Taylor just got a listing of the old/new ROM specimen numbers, so we should be updating those soon, too. BMNH P77/1 may be repeated. The HMN Wy 9051 entry may need to be included in the HMN MB.R.1539 (= Wy 9051; dy V,4a), which also seems to include the HMN dy V entry. ROM 787 may have multiple combined entries (Carrano 2006 seems to have added new measurements here). Also, ROM 4971=ROM 787 may or may not be included in the averages. Additionally, ROM 7871 (mount; = 4971ct?) for one of the entries, so maybe ROM 7871 also needs to be included in the average? I should clarify that there is a pers. obs. of HMN Wy 9051 that differs from the HMN MB.R.1539 (= Wy 9051; dy V,4a) one. There was a YPM 1882 (2nd skeleton / unmounted pes) Galton 1983 that seems to be missing in the YPM 1882 combined. Sorry, didn’t read the note on this one — it’s being used as a stand-alone measurement. This is probably an error on my part, but I have YPM 5456 variously listed as Tenontosaurus and Sauropelta. Only the Tenontosaurus entries are in the current combined data. No need to apologize – thank you for hunting down all of these errors and inconsistencies. Our data are all the better for it! No, this isn’t an error on your part. Ostrom’s original pub with these specimens has YPM 5456 listed as both Tenontosaurus and Sauropelta in the tables. Update specimen numbers for Swiss Stegosaurus specimens. . . The humerus length for NHM R1111 combined should be verified. Checked – turns out to be a transposition error. The humerus length for BCM Ce 12785 was entered by accident for the “combined” data. Going over the table of ages and dates, Orodromeus makelai should be listed as from the Two Medicine Formation, not the Blackleaf Formation (it is mentioned as such in the Oryctodromeus description). Also, the possible late Campanian record of Thescelosaurus neglectus was based on teeth from the Judith River Formation which Galton later reassigned to Orodromeus makelai (Galton 1995). Galton, P. M. 1995. “The species of the basal hypsilophodontid dinosaur Thescelosaurus Gilmore (Ornithischia: Ornithopoda) from the Late Cretaceous of North America.” Neues Jahrbuch fèur Geologie und Palèaontologie Abhandlungen 198(3): 297-311. It looks like NHM R5764 is in the final database twice. Norman DB (2010) A taxonomy of iguanodontians (Dinosauria: Ornithopoda) from the lower Wealden Group (Cretaceous: Valanginian) of southern England. Zootaxa 2489: 47-66.